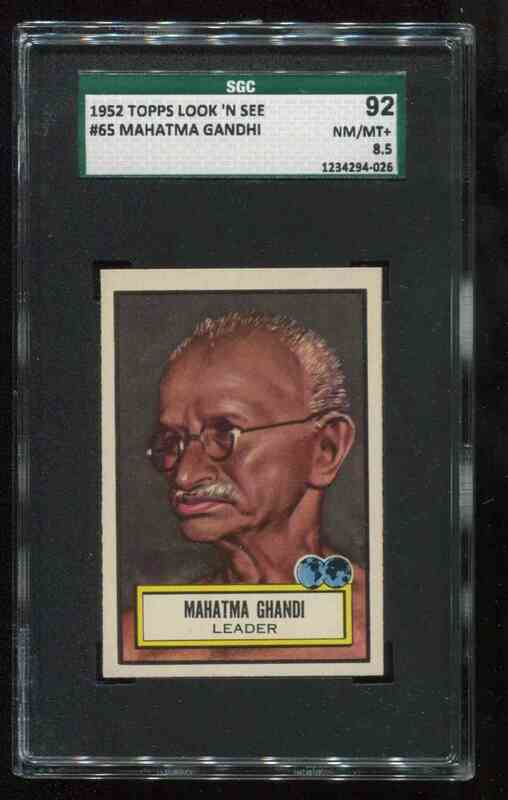 This is a trading card of Mahatma Gandhi. 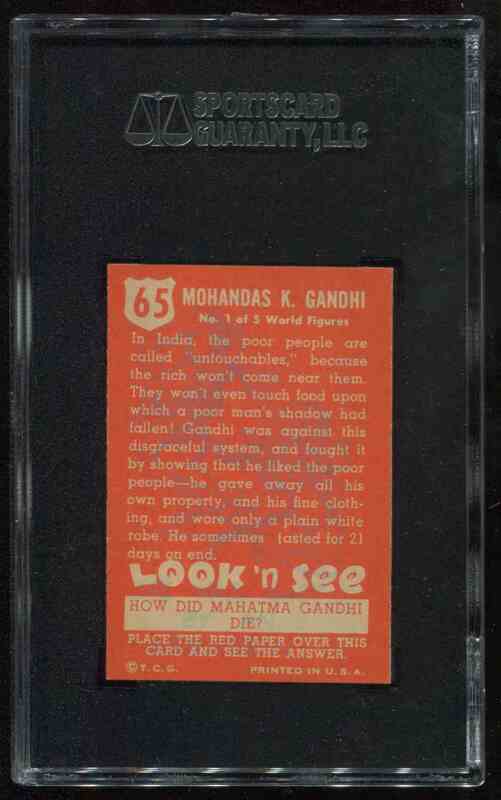 It comes from the 1952 Topps Look 'N See set, card number 65. It is graded 8.5 by SGC. (Nm-Mt+) 92. It is for sale at a price of $ 70.00. Approximate size based on scanned front picture: 5½" x 3½"